TSPSC Group 3 Recruitment 2019 [Apply Online, Exam Date] : TSPSC Group 3 Notification 2019 will be released by Telangana State Public Service Commission. Telangana Group 3 Recruitment comes under the direct recruitment for which not just new candidates, but also the past employees of the government organizations in the state can apply. Group 3 Recruitment Examination is conducted for the recruitment of suitable candidates for different positions. Telangana State Public Service Commission is one of the state public service commissions in India. In fact, the commission holds the pride of being the youngest of them all formed after the bifurcation of the state of Andhra Pradesh some years back. The commission conducts different recruitments under different categories like direct recruitment, departmental recruitment, half-yearly recruitment, etc. Candidates can expect the TSPSC Group 3 notification release to happen on the official website of TSPSC at tspsc.gov.in/. On this website, they will find the notification under the category “What’s New”. Also, they will get to the notification page by clicking on the link called “Notifications” on the home page of the website. Most of the positions above are related to the accounts field, while for some typewriting qualification is also required. Candidates can gather the complete details about the educational qualification required for the specific post they wish to apply from the official notification issued by the TSPSC. The least age requirement is 18 years and the utmost age limit is 36 years as on the 1st of July 2019. Age relaxation of five years is applicable for BC, ST and SC candidates and also for state government employees. For physically challenged candidates, relaxation of 10 years is applicable on the upper age limit. 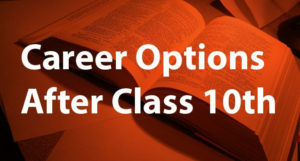 Candidates with NCC participation certification can avail three year’s relaxation. Then, provide basic details like your community, place and date of birth, etc. After providing the basic details, you will have to furnish your address details. Then comes the educational qualification details right from class 1 to 9. You have to provide the district name and school name, where you studied each class from 1 to 9. Thereafter, you will have to furnish details about your class X. 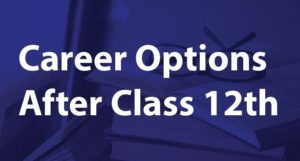 Once you enter class 1 to 9 and class X details, you will have to provide your intermediate or 10+2 details followed by graduation and post-graduation details. Thereafter as you have guessed it right, you will have to provide your Ph. D and M. Phil details if applicable. If after providing these details you find that still some qualifications cannot be added, you can click the option called “Add Qualification” to provide those details. Then, you will have to upload the JPEG Files that contain your signature and photograph. You should make sure that the photograph should be a colour photograph and the size of the file should be 50 KB with a dimension of 3.5 cm x 4.5 cm. In the same way, the signature should be in the size of 30 KB and a dimension of 3.5 cm x 1.5 cm. Here, TSPSC provides the provision to get the notification details to their email and phone number with two choices. You will have to choose the appropriate choice that you feel will suit your requirements. Then, you will have to read the declaration and should accept it. Even, before submission, you can preview the details entered in the application to ensure the correctness. TSPSC Group 3 : How To Apply Online? Once you have the OTR details, you can log in with the credentials you get after OTR. Just visit the page that contains the list of notifications recently issued by the commission. 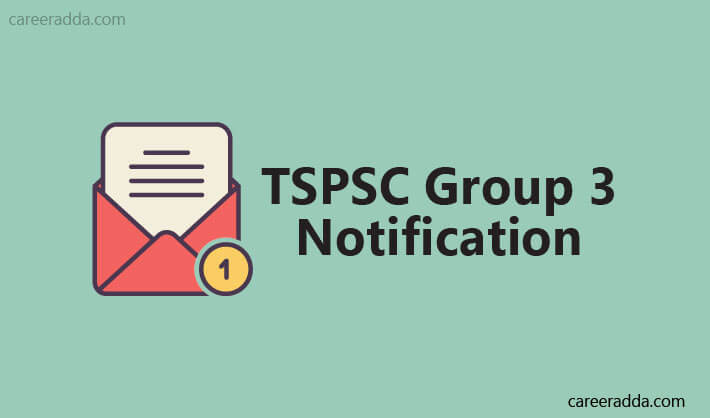 There you will find a link called “online application” corresponding to TSPSC Group 3 Notification link. Just click on the link and follow the instructions given in the notification to fill up and submit the online application. Then, pay the application fee for the Group 3 recruitment and furnish the details pertaining to the fee payment on the online application before clicking on the submit button. TSPSC Group 3 application fee is Rs.100 and the examination fee is Rs.120. Candidates from SC/ST and unemployed applicants and ex-servicemen, BC and PH Candidates are exempted from paying the examination fee. They can pay only the application fee. You can pay the fee only using the payment gateway, credit/debit card or net banking; you cannot pay the fee through DD or IPO. Remember that you cannot get back the fee money once you pay it. When you apply for a TSPSC Group 3 position, you need not have to upload any documents. However, you will have to carry your original certificates at the time of the document verification, in case, you are shortlisted. But, to fill up the application form and the OTR form, you should have details about your school (s) and the districts, your Aadhaar details, your credit/debit card details for making payment and also degree or PG details. If you need complete details about the syllabus, you can visit the Group 3 official syllabus pdf released by TSPSC by clicking here. The selection of suitable candidates for Group III Positions in TSPSC includes a written examination. However, for some posts, in addition to the written examination, you will have to take a computer test as well. The total marks for the written test are 450 and the second part computer skill test is conducted for 50 marks. Candidates shortlisted from these two tests will be invited for document verification. How To Download Group 3 Hall Ticket? If everything is correct, download and print the hall ticket and keep it safe to carry to the test centre. In general, you can expect the release of the TSPSC Group 3 result to happen two months after the written test. So, get to the website of the commission after one-and-half months and keep checking for the publishing of result. Even, you will find the exact date of release of the result some days before the actual release. The commission will decide the TSPSC Group 3 cut-off for the written test and computer test. Only candidates securing this minimum qualifying mark will move on to the next level called Document Verification. Only candidates securing the minimum marks in the Written test/ Skill test will be considered for the document verification part. Candidates will be hired for the Group 3 Position by TSPSC in the pay scale of 10900-31550.